Well, where to start with this? 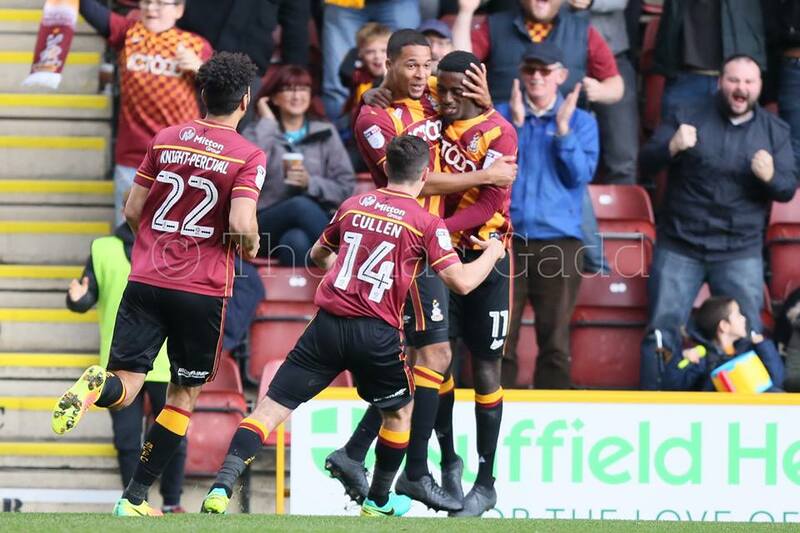 If ever you needed confirmation that Bradford City have changed this season, it was shown in this pulsating, end-to-end 3-3 draw with Sheffield United at Valley Parade. There were eyebrows raised pre-match as Stuart McCall opted for a diamond midfield system. This in itself was not entirely surprising – City have used the diamond a couple of times this season – but in a system where the onus is on the fullbacks to provide the width, the selection of Rory McArdle and Matthew Kilgallon was unorthodox at best. McArdle’s height was useful in countering Sheffield United’s left wing back Lafferty, but when he received the ball in attacking areas he looked a fish out of water, while Kilgallon had struggled in an attacking full back role on Tuesday night. The game started slowly, with no real hint of the classic to follow. Clarke missed one shot for City, but the Blades slowly began to take control and took the lead when Billy Sharp got past the defence to head past Colin Doyle. City wobbled after this, and it could’ve been more when Doyle saved well from Done and when Lafftery lashed wide. Suddenly, however, City got a level of control over the game again, and equalised with a flowing move setting Kilgallon free down the left. His cross nearly found Hiwula, but eventually went all the way to Billy Clarke at the far post who levelled things up. Relief for City, who had not quite sparked into life in the first half. At the start of the second, however, City fell asleep again. They’d already had one warning when a quickly-taken free kick led to a disallowed Billy Sharp goal, but didn’t heed it and Sharp profited, being all alone six yards out to tap in Fleck’s cross. Southend also caused problems in midweek with free kicks taken when City weren’t concentrating, and this is starting to become a troubling weakness. 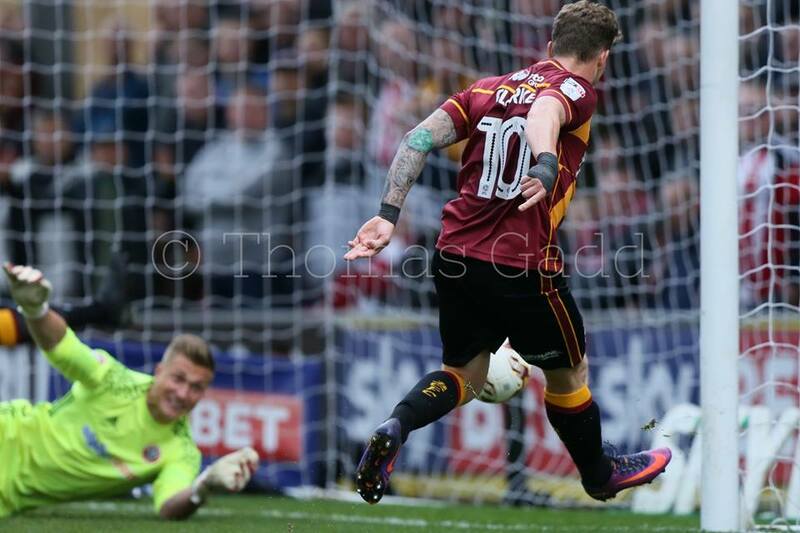 It cost a goal and provoked another wobble as the Blades pushed forward, before the game swung again. City’s frontline burst into life, with James Hanson winning headers, Clarke probing and Jordy Hiwula stretching the play with his pace. Sheffield United resorted to a series of tactical fouls to stop this, but eventually pressure told – Josh Cullen swung the ball across after a set piece had been cleared, Hanson’s attempted shot went across the six yard box and Hiwula was there to tap in. It was just rewards for Hiwula’s work rate, this time matched by an end product that had been lacking in recent weeks. Another player who has struggled recently played a key role in City’s third goal. Matthew Kilgallon has not looked a natural fit as a replacement for James Meredith at left back, particularly struggling to replicate Meredith’s ability to surge from deep with the ball. In this game, City didn’t ask him to. Instead it was his off the ball movement that was key, with players like Nicky Law dragging the opposition wing back inside, then playing the ball for the overlapping Kilgallon to cross. Twice the former Sheffield United man did this, and twice City scored from it. The third goal was scored by the outstanding Timothee Dieng, whose late runs into the box are another potent attacking threat. This was also a fine finish, coming across him at an awkward height and guided well into the bottom corner. It was in the second half that we saw most of the differences between McCall’s Bantams and Parkinson’s Bantams. It’s difficult to imagine a Parkinson side surging forward so thrillingly in the way that City did in the second half and creating so much. However, it’s also difficult to imagine them leaving such space defensively when 3-2 up, or defending set pieces as poorly as City did in the second half. This one was a low cross to the near post where Hanson missed his clearance and the ball ended up scrambled in by Chris Basham. It was a worrying off-day from the City defence, who have been solid all season. The action didn’t stop there. Both sides had chances to win the game and City came closest, with Hiwula’s effort tipped on to the bar by Blades keeper Simon Moore, but in the end a draw was probably fair. It’s unlikely that either side will face tougher opposition this season, or play in a more entertaining game of football, and both sides can come away from this feeling pleased with how they performed. Width of a Post is a finalist at the Football Blogging Awards, if you like what we do, please click here orhereto vote for us, or here for full details. A great game to watch and this could easily have been 5-5 on another day. The goals scored was pleasing as its nice to score more than 1 but our defending wasn’t up to scratch. As ever a great read & much valued time & thought by the WOAP team. Match of the season so far by a country mile. The irony is that our so so reliable defence shipped two careless goals – have to give credit for their 1st it was well made & well taken. Let’s crack on up that table!